To be human is to be cooperative. I’m not sure you can prove it, but it’s actually a more proven human trait than being competitive. This is the research Alfie Kohn reveals in his 1986 book No Contest. It’s gotten me thinking about cooperation vs competition. Alfie Kohn’s exploration of competition is fascinating. I’ve just started the book, but will report back in future posts what I learn. I’m drawn to the book because, more and more, I see that competition can’t be what ultimately governs us. But it’s so present in our lives it’s fooled me for years. 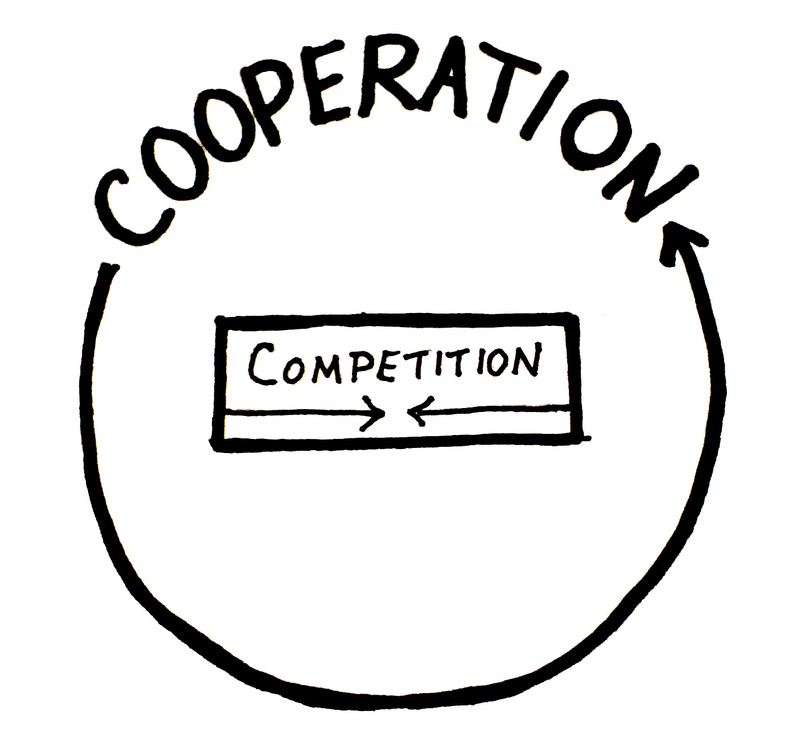 I’ve come to the conclusion that competition is dependent on cooperation. I’ve mentioned similar thinking in previous blog posts. Kohn’s ideas have been applied to business by author, business man, and worker-owner, John Abrams who studied the topic in his book Companies We Keep. See my previous post about his book. Another previous blog post reconsiders competition in the food movement. What strikes me most about games and competition are the rules that are needed. There must be collaboration to create the rules of competition determined through mutual understanding. Defining winners and losers, if that’s what you want to call them, is a structure of collaboration. Aided by my illustration for this post, I’m suggesting that competition exists within cooperation. Trust is a major factor in all this. It’s amazing how much trust is needed for things to work — a transaction in business, for example, is based on a lot of mutual understanding. Or driving on a highway relies on other drivers to follow generally understood rules and drive predictably. That predictability also creates tolerance for that unpredictable, competitive driver weaving through traffic. And, of course, all of this trust/collaboration/competition gets exploited (see Machiavelli and Edward Bernays). But the trust we build with each other is power. Cheating and propaganda need that trust. So, while winning gets defined for us daily by media and advertising, remember how cooperative we all are and how much you contribute to creating the rules! Image from the LivableYXE initiative for increasing the quality of life in Saskatoon. Supported by the Unite co-op. The 7th cooperative principle, Concern for Community, says ‘Co-operatives work for the sustainable development of their communities through policies approved by their members.’ Different approaches to community development are being put into action in three countries thanks to an American credit union, a community-focused Canadian co-op, and a £1B British co-op that is addressing social impact and measuring it. Co-ops are changing the world in small ways by considering their communities. In North Carolina, a credit union helped to solve a food desert in Greensboro recently reported by CU Insight. The Self-Help Credit Union helped make it happen. They operate in underserved communities in multiple states and intentionally locate branches in communities that lack access to affordable financial services. Self-Help provided funding that brought The Renaissance Food Co-op to a blighted shopping plaza. A marketing co-op in Saskatoon, Canada, called Unite takes community seriously. They espouse strong social principles respecting democracy, economic participation, and environmental sustainability including First Nation treaty rights. Treaties in Canada provide mutual agreements to share land with accompanying obligations. In 2016 Unite was able to give back to the community that supports them by volunteering time for The Scoop YXE, a social enterprise ice cream shop for First Nation and inner city youth. Unite also helped with LiveableYXE, an initiative to improve Saskatoon on many fronts. In Britain, Cooperative News reports on social impact being measured by The Central England Cooperative with the help of consultant Heidi Fisher. Called social return on investment (SROI), it is a way to standardize ‘soft outcomes’ of a business and assessing non-financial factors. Social Value UK, which works with SROI, describes the business benefits of social impact: 1. Maximise the value you can create 2. Involve the people who matter most 3. Gain a competitive advantage 4. Enhance communications, both internally and externally 5. Gain funding and contracts. Concern for community: another way in which co-ops are saving the world. I’ve mentioned the book Ours to Hack and to Own: The Rise of Platform Cooperativism, A New Vision for the Future of Work and a Fairer Internet in my last two blog posts. I’ll recommend it again as a resource for understanding platform co-ops and as a source of inspiration. It is cleverly edited with essays from many experts and includes profiles of platforms that serve the cooperative good. One such platform profiled is located near me, here in Massachusetts. It is an alternative banking system called rCredits that has spread from Massachusetts to Wisconsin. rCredits create a vehicle for pooling US dollars with the ultimate goal of community development. Although not a co-op, rCredits are based on a software platform supporting a democratic process. 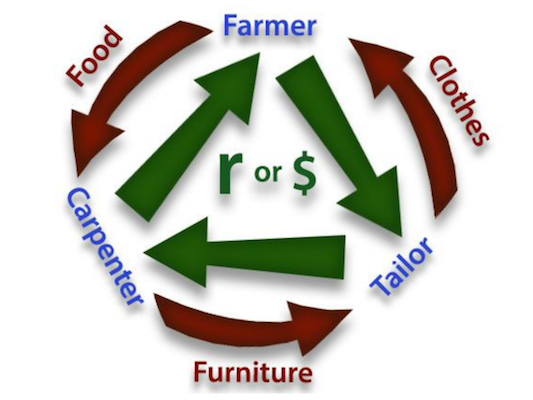 rCredits were started by Common Good Finance (soon to become CommonGood.earth) in Ashfield, MA. Successful rCredit communities have been set up in Greenfield, MA (2013), and Ann Harbor, MI (2015). And currently projects are in various stages of incubation around the country. rCredits (soon to change their name to Common Good Credits) are exchanged for US dollars. The US dollars are then kept in reserve as the credits are used as currency in a community. That community then governs the use of the pooled capital taking the role of a bank. rCredits can be exchanged back to US dollars at any time. As rCredits are moved around among people, the US dollar “escrow” grows with more users. Then the community can decide what to do with this reserve of capital by investing it or making loans, ideally, community focused. On the whole this may seem like a complex solution vis-a-vis convenience of traditional banking. A common cause for a community can be a blessing but hard work. Conversely, convenience can be a trap. In this case a convenient traditional bank benefiting from a community’s deposits. My previous blog post challenging Google Docs describes the same principle of exploiting pooled capital in the form of data. rCredits are a solution but it means doing the hard work of working together. Image from the NCREA “Co-op 101” two-page graphic. There are 3000+ energy co-ops in the US and Europe. 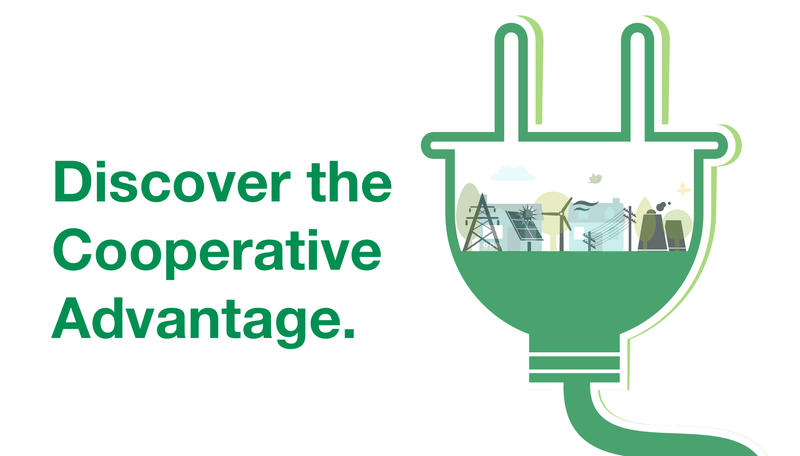 In both parts of the world co-ops are addressing the renewable energy challenge. In the US, some energy co-ops known as electric co-ops, are working toward 100% renewable energy use and analyzing the realities of getting there. Energy co-ops exist across Western Europe using exclusively renewable energy. In the US, more than 900 consumer-owned electric co-ops are represented by The National Rural Electric Cooperative Association (NRECA) in Arlington, VA. US electric cooperatives are in 47 states. The NRECA publication, Rural Energy (RE) Magazine, reported in the article “Co-ops Considering a 100% Renewable Energy Portfolio,” that two energy co-ops in Vermont and Texas are confronting the challenges of reaching 100% renewable energy use. The Pedernales Electric Cooperative in Austin is facing the lack of suitable sites for solar arrays that are near the areas of demand. A major challenge for the Vermont Electric Cooperative is the capital needed, $15 billion, for a solar and battery system. The move toward 100% renewable worldwide energy use is possible according to the study, Energy [R]evolution report, published by Greenpeace last year. 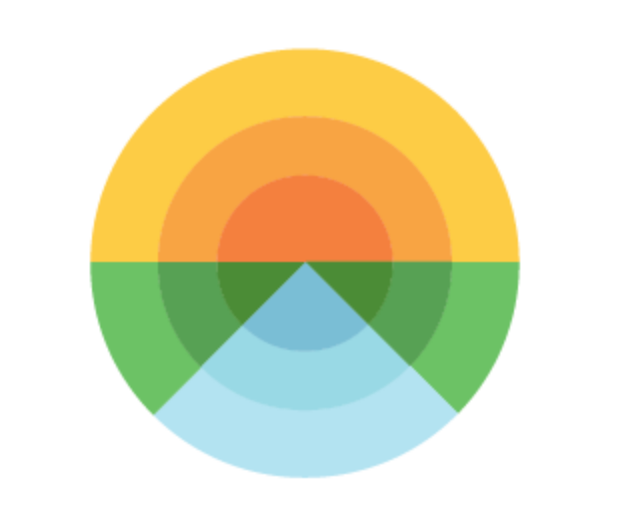 It offers a vision of 100% renewable energy use worldwide by 2050. Co-ops, with the democratic influence of consumer-members are one path to get there. The co-op makerspace for Sharon, Massachusetts, had its second pop-up event in Sharon’s town center. See the video created by KingBird Content for this event. Input is sought for this project’s development; if you have ideas or skills to share, let the group know at sharonmakerspace@gmail.com. Building community with shared know-how, tools, and space, is central to this co-op model. A Co-operative MakerSpace: Building Community Part 2 from KingBird Content on Vimeo. Coops and Makerspaces – Building Community from Kingbird Content on Vimeo. Living in Massachusetts, I’m excited by what is happening with co-operative businesses. Yet the co-operative movement in the state is indicative of the wider movement: a conglomeration of disparate businesses and resources that can be difficult to navigate and understand. Below is an informal sampling of what is happening with co-ops in Massachusetts. Could there be a way to promote them? Europe has figured out one way to do it. Maybe we could learn something from this. My search of Massachusetts co-ops started with MA co-op members of the US Federation of Worker Cooperatives (USFWC). 22 Massachusetts businesses appear in their member directory that are co-ops, worker-owned businesses, or organizations that assist with worker ownership. Some coops from this list are the Valley Green Feast, a farmer’s market in North Hampton; Agaric, a website development co-op in Natick; Equal Exchange in West Bridgewater; the Community Builders Cooperative in Somerville; and the Red Sun Press in Jamaica Plain, Boston, started in 1974. WORC’N, the Worker-Owned Cooperative Network of Greater Boston lists 15 co-ops in MA — some overlap with USFWC — including the new CERO recycling coop. The Valley Alliance of Worker Co-operatives (VAWC) includes 11 co-ops in western MA and southern Vermont. Further searching found other Massachusetts co-ops like the Greenfield Farmers Cooperative Exchange in Greenfield started in 1918, the Freedom Credit Union serving western Massachusetts, and the River Valley Market in Northampton. Serving Massachusetts, like US Federation of Worker Cooperatives, are organizations to assist with co-op development. In the greater Boston area is WORC’N, mentioned above, providing support and resources for co-operative development. Also in Boston is the Boston Center for Community Ownership (BCCO). A community support coop in Boston to develop permanent and affordable communities is Boston Community Cooperatives (BCC). Serving Northeastern US, is the Cooperative Development Institute (CDI) in Shelburne Falls. The Valley Alliance of Worker Co-operatives, mentioned above, serves western Massachusetts and southern Vermont co-operatives. In Brookline is the ICA Group, started in 1978, (not to be confused with the International Cooperative Alliance, ICA) a nationwide consultancy for worker-owned business development. A major financier for regional co-ops, based in Massachusetts, is the Cooperative Fund of New England (CFNE). Due to their strong emphasis on environment and sustainability, co-operatives play an important role in the development of sustainable and responsible tourism in Europe. Worker, social and artisans’ cooperatives help create and maintain jobs within the local communities where they operate. At present there appears to be some great effort and success with the coop movement in Massachusetts. But awareness could be much improved. The tourism approach created by CECOP builds an effective celebration of co-ops. In the U.S., the co-op Co-Cycle came up with the innovative idea to tour American co-ops by bike. Maybe it’s time for a co-op-touring co-op in Massachusetts.